Yes, it has arrived. The long awaited anthology that is housing my first piece of published work has finally made it’s way to us. Never mind, that’s kind of a boring story. But hopefully this one, Canobie Kisses, won’t be. It’s the tale of Mark and Julie who have been friends since childhood. Blah, blah, yeah, we know the story. These two, after years apart, finally realize that their feelings for each other have changed from just friends … to something more. 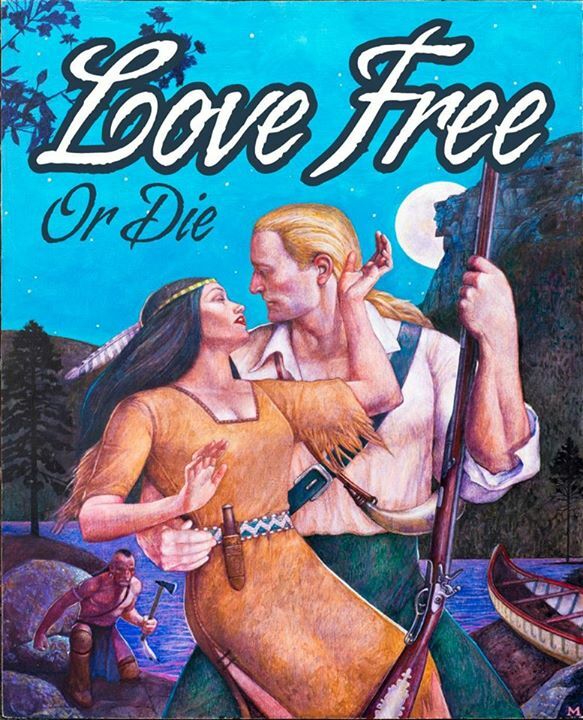 Since this was written for the New Hampshire Pulp Fiction Love Free or Die anthology as part of the Pulp Fiction series, the story must take place in New Hampshire. Yup, the Granite State, the old 603. That’s our area code, if you didn’t know. Yes, we are so small we only have one area code for the entire state. And darn proud of it. It’s Live Free or Die up here, baby and don’t you forget it. We don’t even pay income tax. Or sales tax. How many of you can say that? The location for my story is one of the greatest places in New Hampshire. Fun, frolics and all the greasy, fried food you can eat (my favorite being fried dough). Canobie Lake Park. Follow Mark and Julie and some of their old pals as they enjoy the rides and amusements of this historic landmark. And discover their true feelings for each other. Pay no attention to the cover, it’s as cheesy as the other Pulp Fiction series’ covers. And I think the price is a bit steep at $19.95 but it is filled with 23 stories (6500 words of that being mine) revolving around the wonderful Granite State. You can check out a tiny tidbit with the link above. This entry was posted in Uncategorized and tagged anthology, Canobie Lake Park, kisses, New Hampshire, NH Pulp Fiction Series, romance, short story. Bookmark the permalink. 4 Responses to IT’S FINALLY HERE! Well done, Kari. I didn’t realize you lived so close to me. I’ve been to New Hampshire a couple of times. It’s a beautiful place. Knew some people who lived tight on the Canada US border in that state. I didn’t know you didn’t pay income tax–I assume you mean the state one. Don’t the Feds get money from everyone down there just as they do up here? Congrats! Loved this story! I’m Chapter Six. 🙂 So far this one is definitely a favorite–good luck with your progressing writing career! Thanks, glad you liked the story. I’m still making my way through it. So many good stories here. Good luck to you too!